During my teenage years, I had a good number of friends who were determined to be DJs. Personally, I was never very excited by DJ’ing, mostly because I found it rather difficult to a) find great music that other people would dance to; and b) work out when was the right moment to make the transition from one music track to another on a mixing deck. I was clearly never going to make it. Last Wednesday, I found myself thinking about DJs. I was taking part in a live chat on the Guardian’s Development Professionals Network focused on how to reduce poverty in Middle Income Countries (MICs). During the discussion, the chair asked me whether countries that provide aid – such as the UK – should work in MICs at all. This is an important question, because, for instance, as these excellent infographics by Development Initiatives show, aid is becoming a smaller and smaller component of overall financial flows in MICs. It has less relative ability to influence poverty reduction in such countries, and therefore could be less effective. At the same time, as Jonathan Glennie from ODI argues in this paper, the majority of poor people now live in MICs. Added to this, many MICs need help with tackling global public goods such as climate change and they also have major impacts on their (often low-income) neighbours. Should countries like the UK exit out of aid in such circumstances? And how will this affect achievement of a post-2015 set of development goals? I thought back to DJ’ing. 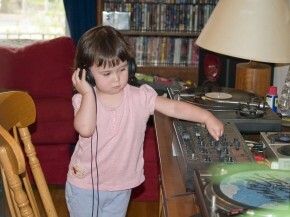 In many ways, DFID needs to become a good DJ. It needs to make a seamless transition from one great bit of music to another. While the UK can’t support every single country out there, the UK does need to transition away from traditional grant aid for MICs into other types of cooperation instruments that will support them to reduce poverty as they grow. For example, in some MICs, it might be helpful to reduce poverty by growing businesses and jobs, which doesn’t need traditional aid but actually needs loans or guarantees. Some MICs might be able to better reduce poverty in their own and neighbouring countries by investing in infrastructure or negotiating extra access to trade markets for key products. DFID is increasing our work in these areas, especially with fast-growing countries in Africa. In other MICs, the majority of poverty might be concentrated in one particular state or region. For that region, traditional aid sent directly to the local government might be needed, but it won’t be needed elsewhere. In other MICs, governments might not need any money at all, but instead need some help in designing the best new policies to reduce inequality, mitigate climate change or support the poorest people. As my live chat continued, I realised that each MIC needs its own special balance of these instruments – its own special playlist. In order to be effective, providers of development cooperation like DFID need to ensure that they, at the same time as reducing traditional aid in MICs, work together to ensure that other, non-traditional instruments are available – such as risk guarantees, loans, trade-opening instruments, aid to local governments, knowledge sharing. Internal processes such as the UK’s Bilateral Aid Review and Multilateral Aid Review play an important part in helping make this smooth transition, while retaining focus. They help in bringing great new music seamlessly onto the turntable so that people keep dancing. Today, Mexico and the UK are co-hosting an event in New York focused on how to reduce poverty effectively in Middle Income Countries, in preparation for the first ever meeting of the Global Partnership for Effective Development Cooperation in April 2014 (you can get more details about the event here). My hope is that the discussants will – like me – identify that there needs to be a delicate mix of music or cooperation instruments for each country – tailored to their stage of development and their degree of inequality. Even better, they might begin to think of ways that the Global Partnership can actively scale-up and help to develop the new instruments to mix in, now and in a post-2015 world. It’s clear – we all need to become better DJs to do development.